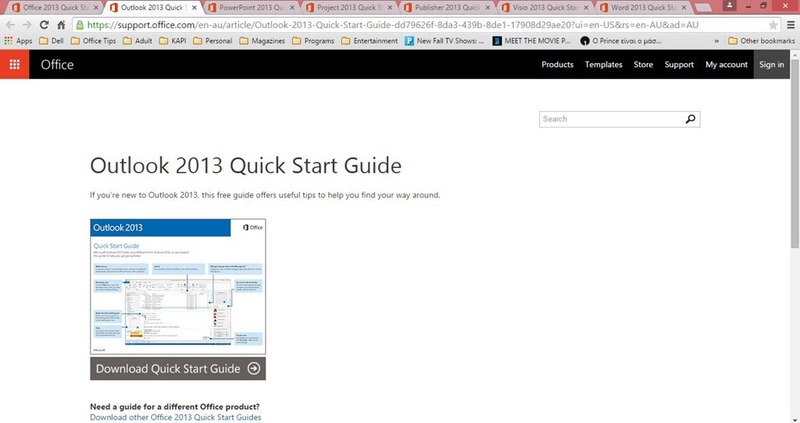 In the image below, I have selected the Access 2013 Quick Start Guide link. A new webpage appears where all we have to do is to select the command Download Quick Start Guide, and then we will be asked where we want to save the Guide on our computer. 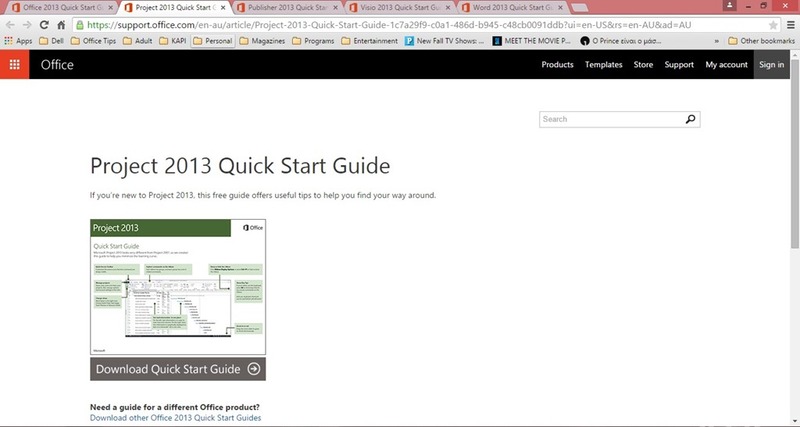 In the image below, I have selected the Excel 2013 Quick Start Guide link. A new webpage appears where all we have to do is to select the command Download Quick Start Guide, and then we will be asked where we want to save the Guide on our computer. 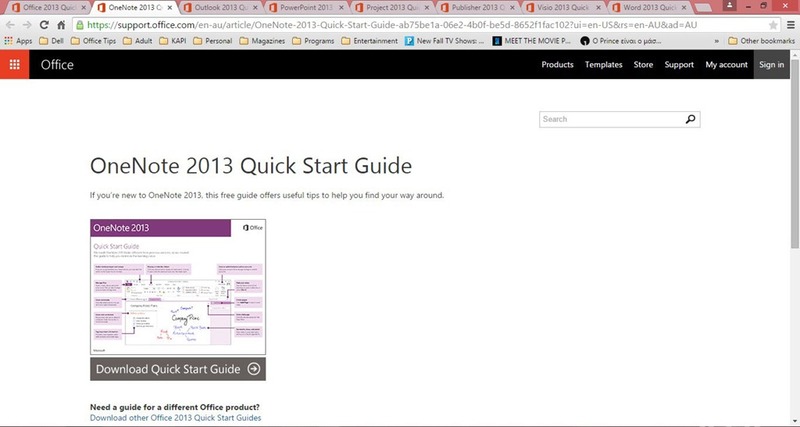 In the image below, I have selected the OneNote 2013 Quick Start Guide link. A new webpage appears where all we have to do is to select the command Download Quick Start Guide, and then we will be asked where we want to save the Guide on our computer. 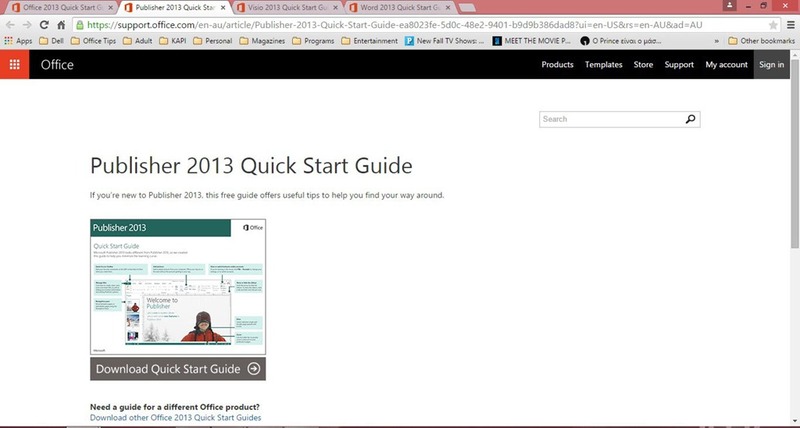 In the image below, I have selected the Outlook 2013 Quick Start Guide link. A new webpage appears where all we have to do is to select the command Download Quick Start Guide, and then we will be asked where we want to save the Guide on our computer. 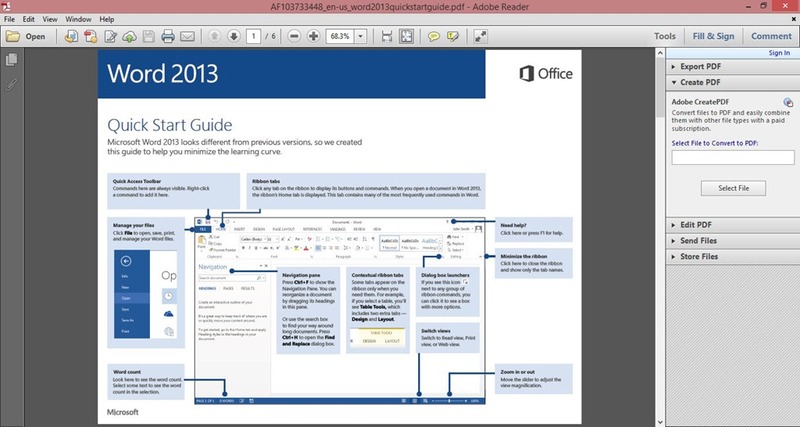 In the image below, I have selected the PowerPoint 2013 Quick Start Guide link. A new webpage appears where all we have to do is to select the command Download Quick Start Guide, and then we will be asked where we want to save the Guide on our computer. 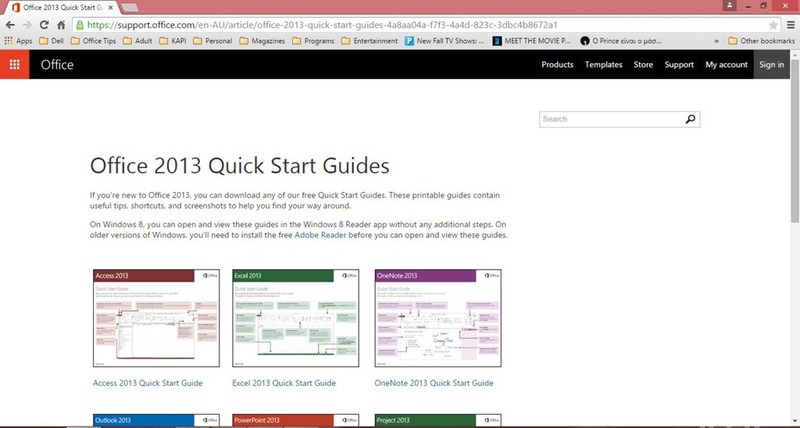 In the image below, I have selected the Project 2013 Quick Start Guide link. A new webpage appears where all we have to do is to select the command Download Quick Start Guide, and then we will be asked where we want to save the Guide on our computer. 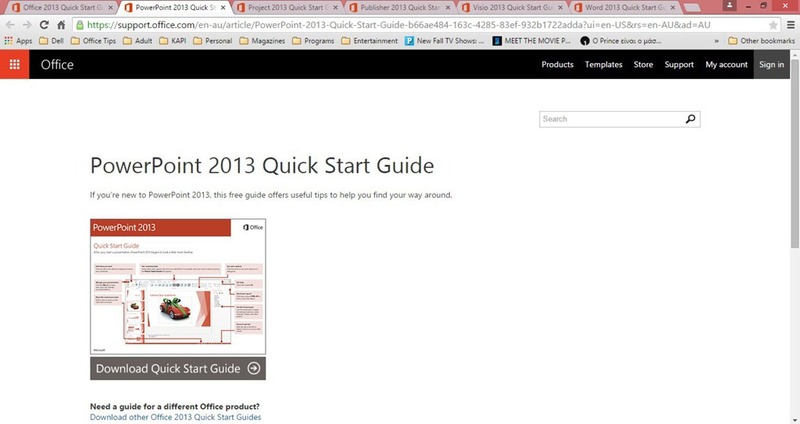 In the image below, I have selected the Publisher 2013 Quick Start Guide link. A new webpage appears where all we have to do is to select the command Download Quick Start Guide, and then we will be asked where we want to save the Guide on our computer. 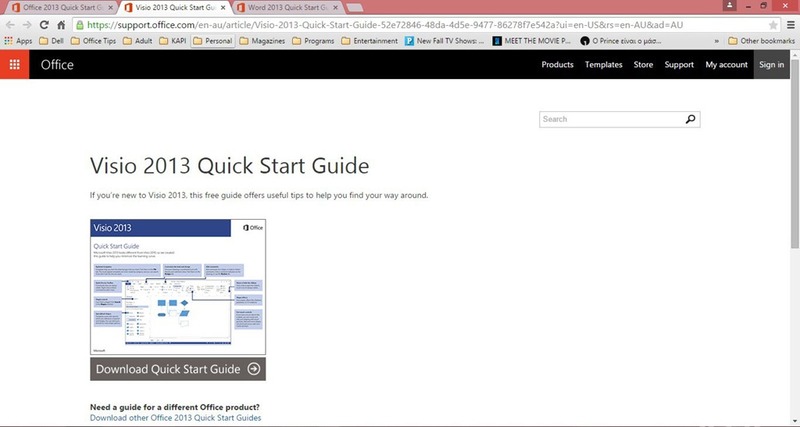 In the image below, I have selected the Visio 2013 Quick Start Guide link. A new webpage appears where all we have to do is to select the command Download Quick Start Guide, and then we will be asked where we want to save the Guide on our computer. 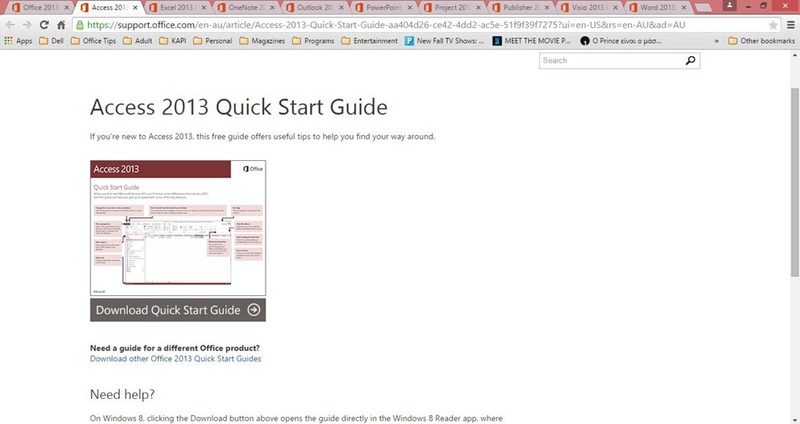 In the image below, I have selected the Word 2013 Quick Start Guide link. A new webpage appears where all we have to do is to select the command Download Quick Start Guide, and then we will be asked where we want to save the Guide on our computer. 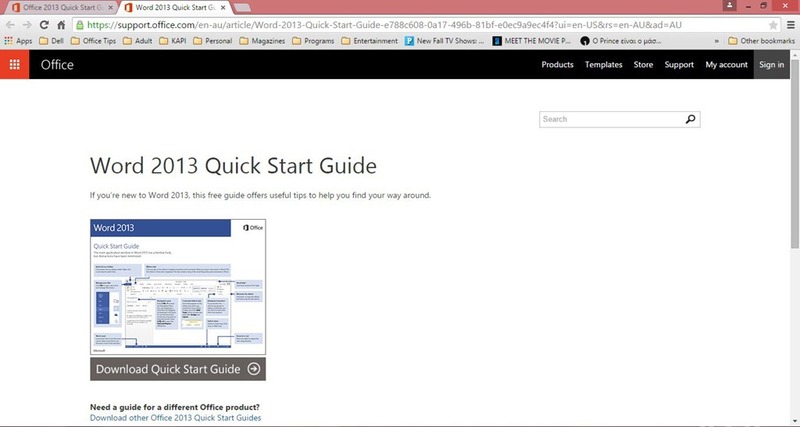 In the image below, once we have downloaded the Word 2013 Quick Start Guide, we just open it and all the tips, screenshots and shortcuts will be available for us in order to find ourselves about the current application. 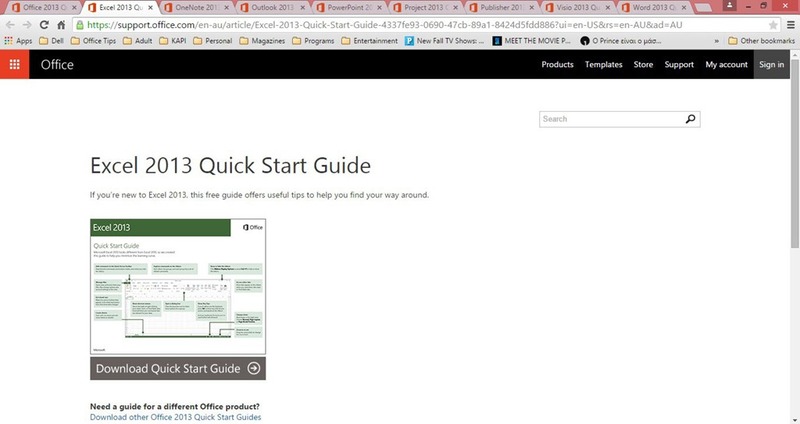 I hope you enjoy the Quick Start Guides for Microsoft Office 2013. Below you can check out the video describing how to download them and view them. Posted on June 23, 2015, in Microsoft Office 2013 English, Office 2013 English and tagged Access 2013 Quick Start Guide, Excel 2013 Quick Start Guide, Microsoft Office 13, Microsoft Office 2013 Quick Start Guides, MVP, Office Smart, Office System, OneNote 2013 Quick Start Guide, Outlook 2013 Quick Start Guide, PowerPoint 2013 Quick Start Guide, Project 2013 Quick Start Guide, Publisher 2013 Quick Start Guide, Smart Office, Visio 2013 Quick Start Guide, Word 2013 Quick Start Guide. Bookmark the permalink. Comments Off on Complete collection of Microsoft Office 2013 Quick Start Guides.